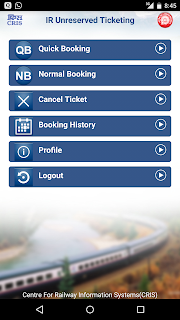 Jill Of All Trades: Booking a local train ticket using the UTS mobile app. 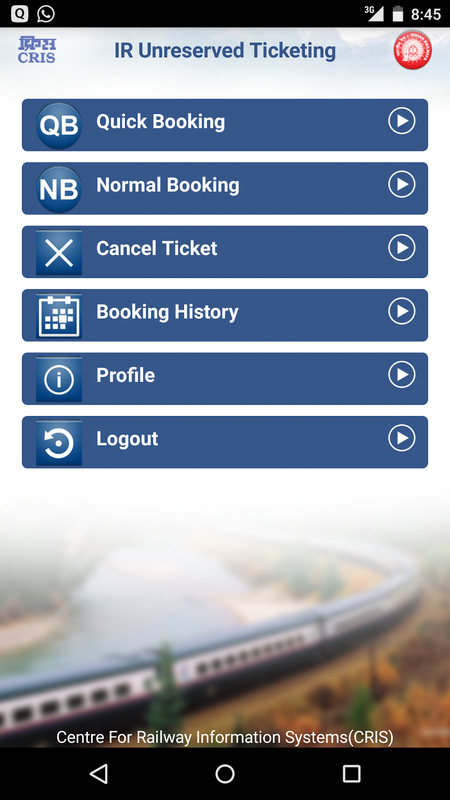 Booking a local train ticket using the UTS mobile app. If you are reading this then you also are a middle class traveler, who cannot afford a car and chauffeur (or hates the bumper to bumper road traffic) and does not like travelling in the bus too. Hence the best option left, is the local train! 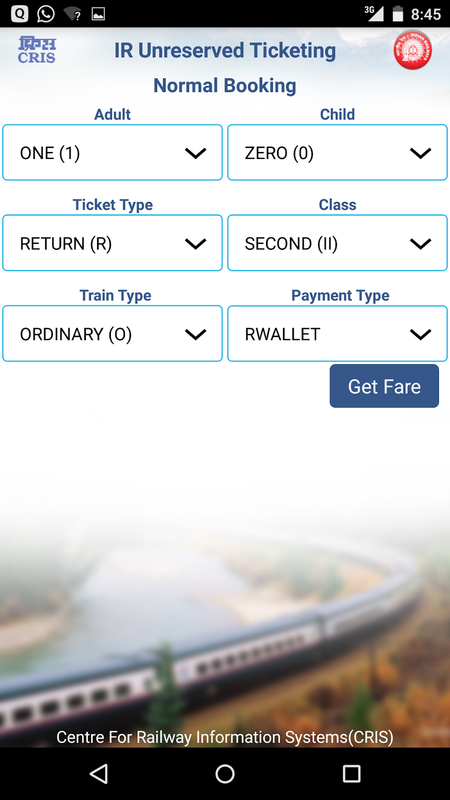 Indian Railways have launched a new app called UTS that allows you to book tickets right from your smartphone. Yes, you heard me right! To good to be true? Let me show you how it's done. Once you register your mobile number, this is the landing page. Choose normal booking unless you have a saved route. In that case, you can opt for Quick booking. Make sure you have recharged your wallet. You can do so here. Next you select source and destination from the drop list. Usually typing the first 3-4 letters should be enough. Then you can choose no. of tickets, single or return journey, class, etc and click on get fare. It will confirm the amount and ask to book the ticket. 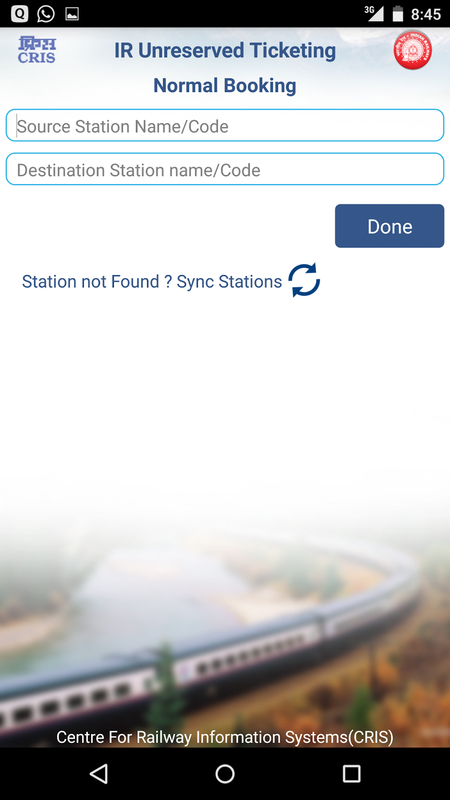 Once done, you will get a confirmation message on the app's screen plus a sms. The 3 digit booking code and your registered mobile number is all you need now. This is the part that confused me at first. 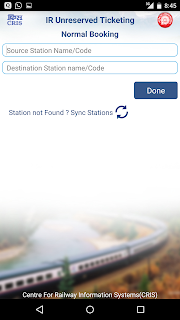 The confirmation message asks you to collect a print out from the station. I got confused, where to go ask since I have never seen any printout collection counter as such. But I asked at CST station and got to know that it means the ATVM machine. 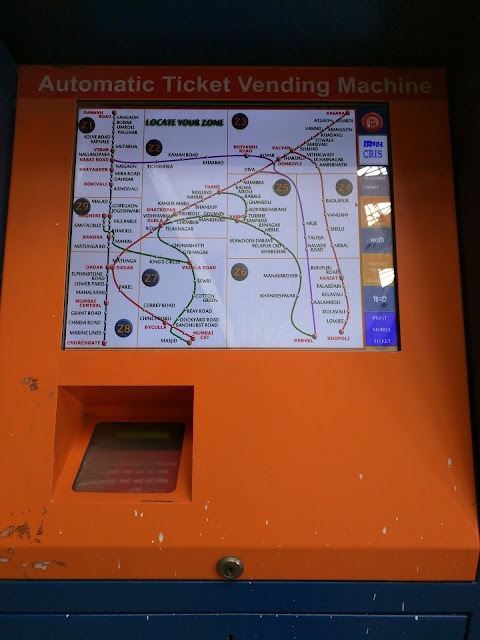 In the ATVM Machine you'll see an option in the right corner down-side saying print mobile ticket. Touch that and you shall be asked to type your registered mobile number and the 3 digit booking code. Once you press submit, it processes your request and spits out the ticket. As simple and fast as that. Now you must be thinking, why would I not use my existing ATVM card. But the difference is the wallet recharge and carrying the card. To recharge the card you need to again stand in queue vs. the app that requires you to recharge online. And what if you forgot to carry your ATVM card, possibility of forgetting to carry your phone is much lower. I have been using the app ever since and find it very convenient. 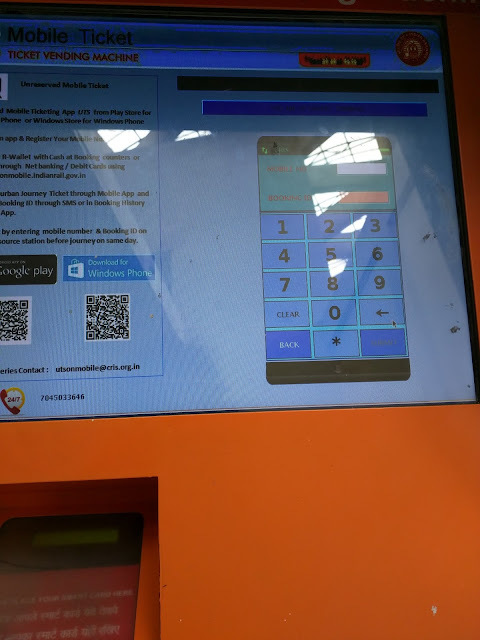 I book the ticket before reaching station and simply print and go! People who are not aware of this facility stare at me do a card-less transaction and look in awe. I almost feel like a spy agent. Hahahahaha.. Journey with train is good option if you have to go long so book ticket by IRCTC official site after IRCTC login page.